Sketchfab Community Blog - Sketchfast #4: invent your ideal AR headset! Augmented reality headsets and glasses are all the rage today, with the Google glasses starting to ship and new players entering the field every week. But what would your ideal AR headset look like? How would you design the ideal AR headset for you? For your life? For this weekend’s Sketchfast, stay indoors no matter what the weather. Spend it all designing your ideal AR headset! You have untill Monday May 13th at noon (EST) to enter our 4th Sketchfast competition with $500 of cash prizes! 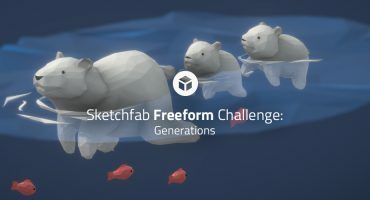 To participate, just upload your entry on sketchfab.com with a sketchfast4 tag. We are glad to welcome in our jury Josh, editor of solidsmack. Selection will be made according to the quality of the realisation and the originality of the concept. Don’t forget to make good use of our new environment reflections! 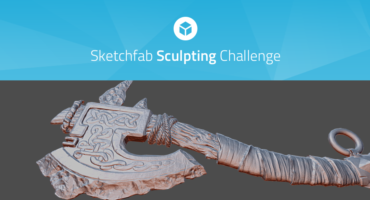 Good luck from the Sketchfab team ! May 14th update: winners announcement! Thank you all for participating, with a record number of 30 entries. Besides the number itself, we were really impressed by the skills and imagination you’ve come up with in such a short time, and it makes us want to do more of those.